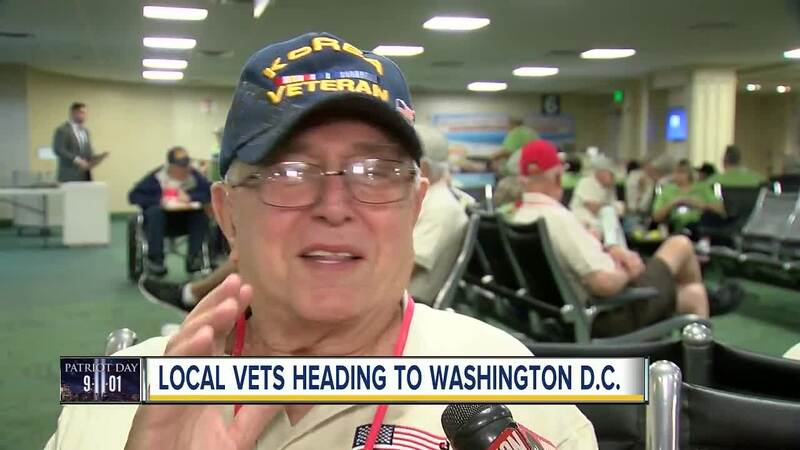 Honor Flight West Central Florida sends veterans to Washington D.C.
On Tuesday, September 11th, 73 local veterans will head to Washington D.C. as part of Honor Flight West Central Florida. PINELLAS COUNTY, Fla. — On Tuesday, September 11, 73 local veterans will head to Washington D.C. as part of Honor Flight West Central Florida. A "guardian" joins each veteran on the flight and throughout the day. During the day-long visit, the veterans will visit war memorials dedicated to honor their service and sacrifices. The group will be leaving on the Allegiant flight from the St. Pete Clearwater airport early Tuesday morning and will return at 8:20 p.m. Tuesday evening. Honor Flight West Central Florida is encouraging people to come to the airport to come to the "Welcome Home" ceremony at the airport at 8 p.m. This is the 35th free flight that Honor Flight West Central Florida has organized for veterans. 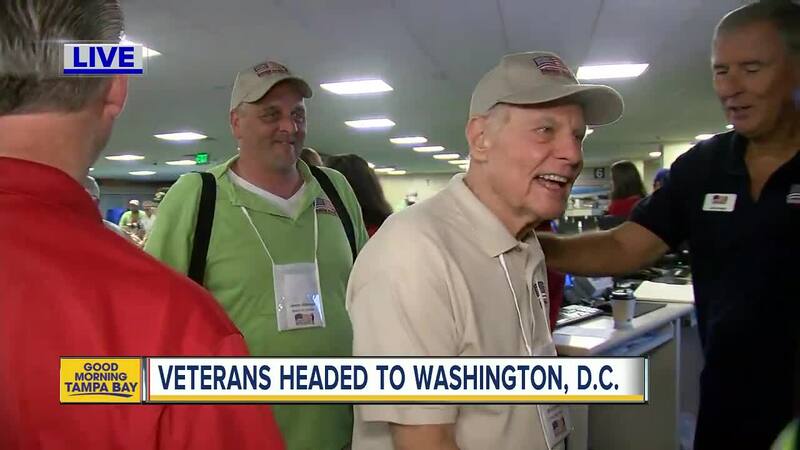 Organizers say since the first flight in 2011, more than 2500 veterans have flown to D.C. The mission of the non-profit organization is to take America's veterans to Washington D.C. to visit war memorials. The organization gives priority to World War II veterans and those veterans who are terminally ill.
For more information on Honor Flight West Central Florida and to learn how to apply a veteran to the program click here .